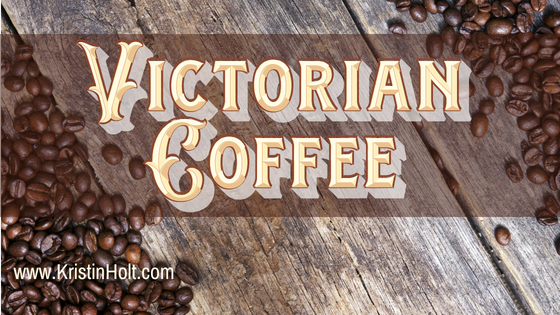 We know coffee was an every-day commodity in the Victorian American West, but how much do you know about its availability, preparation methods, the era’s tried-and-true substitutions, and where it was purchased? Come see! 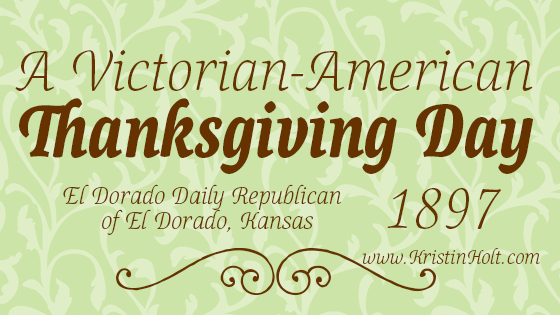 A newspaper article published on November 25, 1897 (El Dorado, KS, syndicated from NY Tribune) sheds historical light on what Thanksgiving Day was to the late Victorians in the United States. Includes: origins, thanksgiving souvenirs, thanksgiving entertainments, and thanksgiving decorations… a glimpse into Thanksgiving in 1897. At the outset of Unmistakably Yours, Hank Murphy, proprietor of a fine new grocery emporium, is desperate to ensure adequate supplies to see his community through winter have arrived safely in Mountain Home. Much like Aesop’s fables about ants and grasshoppers, the American-Victorian era is ripe with moral-rich stories urging hard work during the summer to secure safety and comfort in the winter. 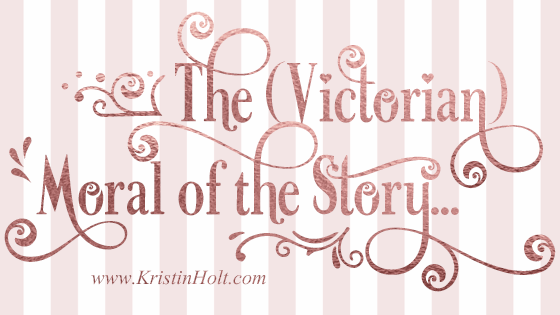 This vintage newspaper article from 1880 showcases an example of the era’s “stories with a moral”. 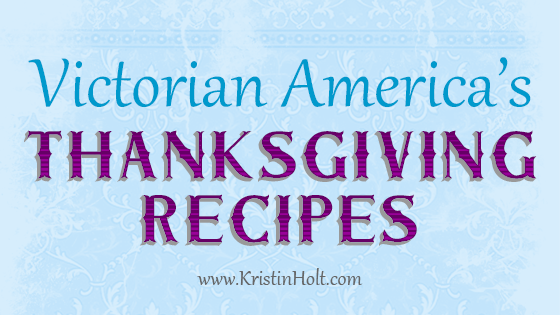 How did our Victorian-American ancestors select a turkey? How did they roast it (without a Reynold’s Oven Bag)? Were their Thanksgiving Dinner side dishes as complicated as restaurant menus made them appear? 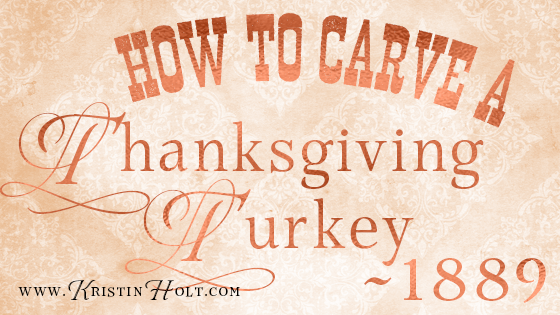 This newspaper article, published in Vermont Journal of Windsor, Vermont, on November 30, 1889, instructs our Victorian ancestors (in the United States) how to properly carve a turkey. Picture the Thanksgiving table laden with fancy dishes, and the head of the household carving the bird from his place of honor at the head of the table. Do you form a picture of characters in your mind as you read? 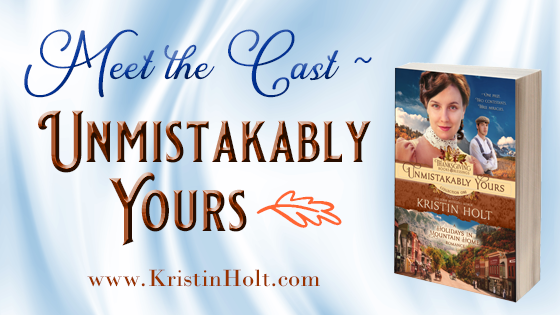 Would you like to see who I pictured while I write Unmistakably Yours and related Holidays in Mountain Home titles?